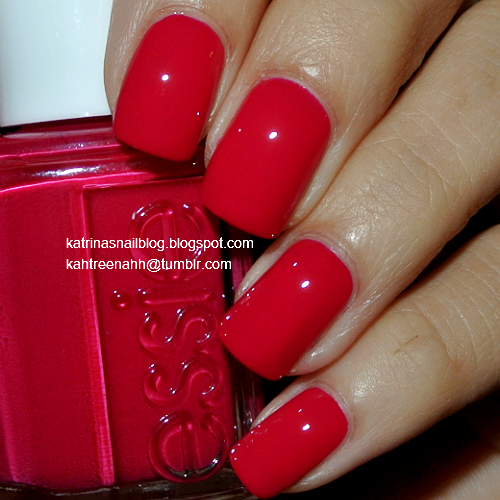 I was recently contacted by Nicole of Princess Boutique to review Essie's 2014 summer collection, Haute In The Heat. I had not seen many swatches of it yet so I was more than happy to swatch them. Strut Your Stuff, 2 coats. The color is a tad bit more dusty in person. Fierce, No Fear, 2 coats. Haute In The Heat, 2 coats. This one is a bit of a darker, dusty raspberry color. Ruffles & Feathers, 2 coats. Hi, thanks for the manicure post. I think the nails in these pictures are naturally beautiful themselves. They have good shape. So when you apply nail polish to them, they just shine. These are some gorgeous colors! I love your nails, they look super healthy!